Search For "E-Commerce & IT Outsourcing" Companies in Fallbrook, California - Click Here Now! We Specializes In Screen Printing Custom T-Shirts And Apparel For Various Clients Including Schools, Businesses, Organizations, Clubs, Non-profits, Individuals And More. We Are Committed To Providing The Very Best Custom Apparel Possible. 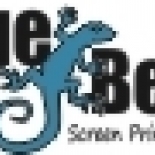 Blue Belly Screen Printing LLC in Fallbrook is a company that specializes in Computer Related Services, Nec. Our records show it was established in California.